Last week we were in Tassie for a shoot and a 30th bday party for a good friend of ours. She hosted the vintage picnic themed party at an awesome farm / brewery called Two Meter Tall. Such an cool spot!! 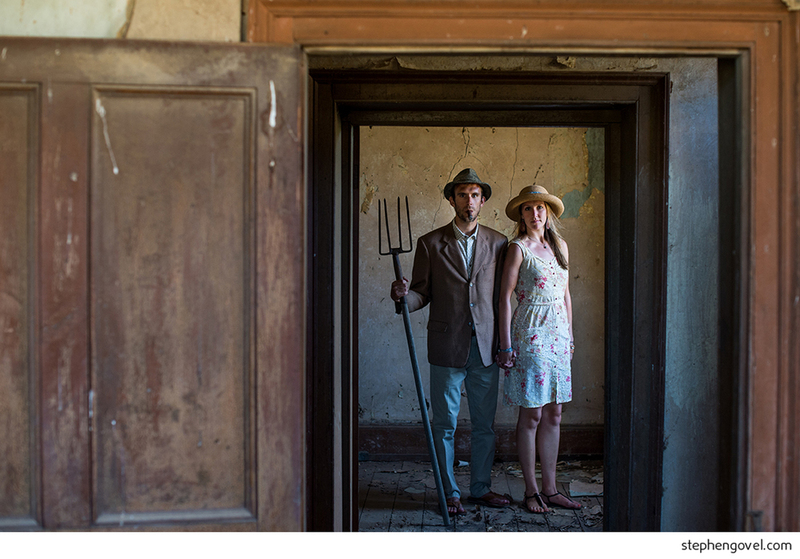 I made a slideshow of some images for Kelly, but this is an image that I thoroughly enjoyed taking :) A take on Grant Wood's painting American Gothic.